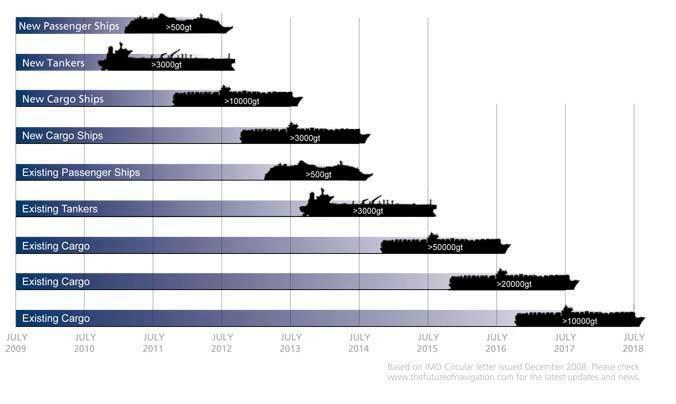 As commercial shipping companies and mariners will know, the IMO have determined the requirement for a significant number of vessels to be fitted with ECDIS by 2017. This significant change to the means by which to primarily navigate is having a dramatic effect at sea with unfortunately a number of groundings being attributed to the incorrect use of ECDIS. Therefore we have developed a service to help mariners and management companies make the transition from paper to electronic navigation in a seamless manner. We work with you to select the right equipment for your needs and Flag State requirements as well as advise you on optimum equipment positioning on the bridge for ease of use. Da Gama Maritime work directly with two ECDIS training providers, 'ECDIS Limited' and 'Warsash Maritime Academy' who both offer an official ECDIS course to the IMO 1.27 course model, provided to MCA and DNV accredited standards. This compulsory course is not designed to teach the basics of navigation but to educate the navigator on using traditional techniques on an ECDIS platform and how to get the most out of your chosen system. With a necessity to complete certified type training for the ECDIS fitted to your vessel, both establishments can offer the specific courses to a variety of systems after which Da Gama Maritime can then provide more detailed training in helping to develop on board day-to-day processes and checklists. While Flag States no longer require the submission of a Risk Assessment as part of the formal application process for a vessel to navigate primarily on ECDIS, this still proves in many situations to be a valuable tool in ensuring the bridge team are aware of procedures which should be in place or at least considered. With our team having been responsible for the accreditation of numerous vessels and worked with Flag States in the past to assist vessels in achieving the appropriate accreditation, we can work with you and management companies to provide professional simplistic advice on the basic considerations to take into account. Having ticked the necessary boxes to demonstrate to a Flag State your vessel(s) are safe to navigate by electronic means, those operators who do not use all the ECDIS features on a regular basis will suffer from skill fade. It is also recognised (from accident reports) that complacency can set in resulting in some basics being missed to maintain safety. Our team have regularly worked with a number of vessels to engage with bridge teams and advise them where necessary on any procedures which are slipping or require tightening to enhance safety. Read our ECDIS regulations and accreditation page for more information.